After quitting a corporate job to ride bikes down the West coast of the US, Megan Dean returned knowing she couldn’t go back. 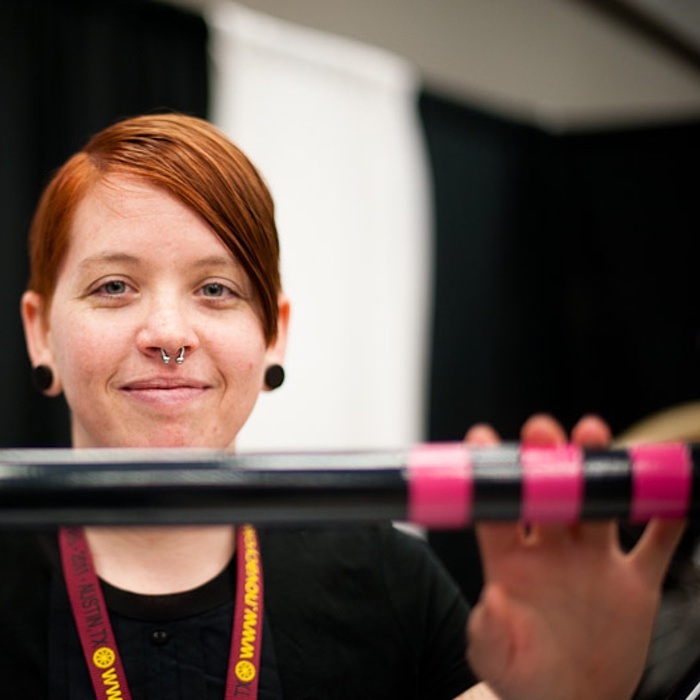 Through various bicycling related jobs she eventually found an affinity for turning a pile of steel tubes into a functioning piece of art. In this talk, Megan will regal the audience with extreme bike dork stoke. Before there were frames, there was a moth attack. Or at least a moth infestation one morning in the Los Angeles kitchen of Megan Dean. It was one of those situations where one could either get annoyed or motivated, and Megan choose the latter. Launching Moth Attack after perfecting her skills with master frame builder Koichi Yamaguchi, she now applies this knowledge to lugged and fillet brazed steel frame sets. Each one custom made with purpose, fit and love in mind. When not fabricating frames, Megan is often track racing, road riding, or working part time at the Los Angeles Bicycle Coalition. Being immersed in bicycles all day in multiple ways translates into an omniscient approach to building that is reflected in every detail of her finished work. Megan’s break from the cycling world is spent with her big dogs that share her love of the artisian life and a good walk.